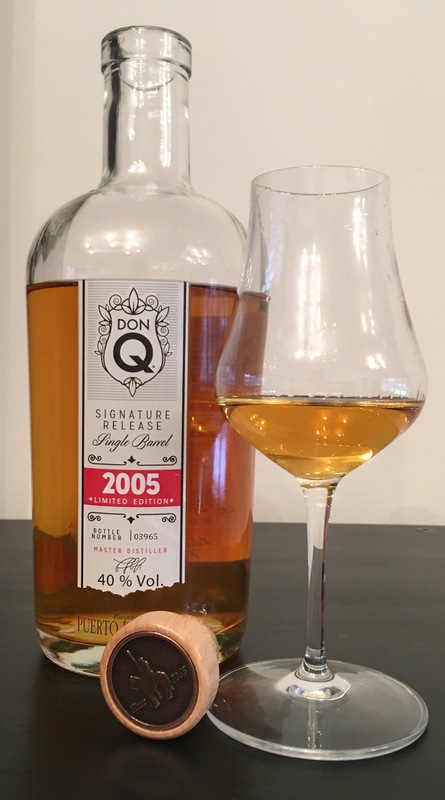 Don Q as a brand was one that I’d heard about and read about but one that never actually seemed to be available to buy here in the UK despite their regular (and very enjoyable) presence at the UK RumFest….well last year saw them get distribution with Spirit Cartel which of course meant that I could grab them. I maybe started at the wrong end with my first purchase as I opted to go straight for the Gran Anejo but that was soon rectified and I now have the Cristal, Gold, Anejo and Single Barrel (we’ll come to that later) 2005 to enjoy. What struck me looking into Don Q as a brand was the amount of history associated with the family. The place of Don Q as a Rum brand was cemented in the history books in 1954 with the creation of one of the most iconic and well-known Rum based drinks available, the Pina Colada. But their story began in around 1820 when Juan Sebastian Serrallés arrived in Ponce, Puerto Rico from Spain. He founded the Hacienda Teresa sugar plantation soon after. In 1865, Don Juan Serrallés, the son of Juan Sebastian Serrallés uses an imported French copper pot still to produce his first barrels of rum. Fast forward to 1934 and Don Q as a brand is launched taking its cues from the literary character Don Quixote. In 1954, Ramon “Monchito” Marrero creates the Pina Colada whilst at the Beachcomber Bar in San Juan. 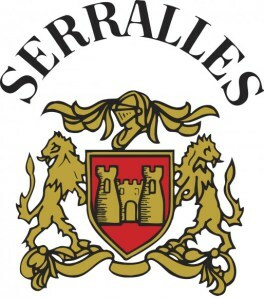 1981 sees Felix J. Serrallés take leadership of the Destileria Serrallés which kickstarts the family’s desire for growth and innovation and in 1985 Serrallés Inc. acquires Puerto Rican Distillers Inc. which allows it to massively expand its range of products. On to modern-day and in 2004, Roberto Serrallés joins the family business and applies his skills in environmental sciences to implement a waste reclamation process that cements Don Q as one of the more environmentally friendly producers. Felix J. Serrallés remains the President and CEO of Destilería Serrallés. There is a huge section on the measures taken by Don Q to become more environmentally aware and also a little more fleshed out version of the brand history that can be found on their website here for you to peruse at your leisure. Anyhow, on with the more interesting stuff…..the Rum. The Rums that Don Q produce are from a multi-column set up……mostly. They also have a Single Column at Destilería Serrallés. I’d say that Don Q Rums definitely find their place with the lighter styles of Rum….don’t let that put you off though. Don Q produce some very flavourful Rums that under the new classification proposed by Luca Gargano and backed up by Richard Seale would fall under the “Rum” heading due to their multi-column production method. One thing to note is that the Don Q Rums being written about here buck the trend of a lot of light Spanish style Rums in the fact that they do not appear to have been doctored with unnecessary additions such as sugar etc which sees them come up clean in the hydrometer tests carried out by others. In fact they have been quite vocal about their ‘clean’ rums which is a great thing as I personally have fallen out of love with ‘Rons’ given that they are usually highly marketing led and contain for the most part a fist full of sugar or other additions. They also seem to lack a lot of complexity. Even some independent bottlers have been duped by the practices of certain producers having thought that they’d obtained ‘clean’ barrels of Rum. But onto the range…I could (and probably should) split over multiple articles but I thought that I’d pool the ‘resource’ (if you can even call it that) in the one location. Don Q Cristal is a multi-column distilled blend producing a very light style of Rum. I have it on good authority that the Rum is taken off the still at 90.5% for this blend. The distillates are aged for between 1 and 5 years in re-charred American White Oak Barrels prior to being blended and filtered to remove colour. The Rum is then bottled at 40%. Nose: This is very light stuff. It’s close to neutral but it does possess all the characteristics of a Rum….you’d pick it out of a line up of mixed unaged spirits. It’s all very clean with a light sweetness, something slightly prickly and a watery fresh ginger quality. Maybe a hint of nutmeg. Mouth: Light sweetness on entry initially which develops an oily citrus quality and a light floral note that dries a little. It has an extremely light body. Creamy, mild white pepper on the mid-palate with a very short lightly sweet and nutty finish. I would struggle to pick this out of a line up of other Rums of its style given its light nature but it does what it sets out to do. It’s a no-nonsense affordable light Rum that gets used predominantly in cocktails. Not much else I can say about it to be honest. Don Q Gold is again a multi-column distilled blend. Again, for this blend the Rum is taken off the still at 90.5% as it has the same make up as the Cristal. The distillates are aged for between 1 and 5 years in re-charred American White Oak Barrels prior to being blended. Again the Rum is bottled at 40%. The rear bottle label states that spirit caramel has been added for colour. Nose: Mild vanilla and a grassy, oily quality. Cinnamon, sweet, young alcohol notes and the mildest oaken note. Maybe a little Kola Cube. Mouth: Initial sweetness and a hefty bite from the young aggressive alcohol. It also dries like the Cristal but brings with it a hint of bitterness. Light floral notes are present along with vanilla custard. The finish s short to medium length and starts with creamy vanilla which soon changes into a spiky white pepper accompanied by the heat of young alcohol. It has a few characteristics that lift it above the Cristal for use in drinks where you want the Rum component to work in your favour but again its a good example, perhaps one of the clearer examples of a very light Spanish style Rum. I use it in Zombies and Pina Coladas at home. This is where things start to take a turn for the interesting. This Rum is again a multi-column blend but this time it is a blend of aged Rums between 3 and 10 years old….and it shows. Bottled again at 40% with label declared spirit caramel addition. Nose: The nose is immediately more fun and definitely more rummy. It is less crisp than the younger offerings but it does possess the same alcohol spike but this time it is accompanied by light oaken notes. Vanilla, light powdery cocoa and faint apricot fruitiness. There is a more apparent floral element and it possesses way more balance. It is a little more self-assured then the younger offerings and also has hints of nutmeg and cinnamon. Mouth: A light, almost fruity sweetness on entry which is soon overcome by a drying oak. The mid-palate has pepper and nutmeg along with light oily citrus. Apricot lingers in the vapours. The finish is of a medium length with more flavour than expected. A drying sweetness accompanied by warming vanilla and a pepper driven oaken fade. I’d perhaps suggest a bottle style change for this expression as flavour and aroma wise it really does stand head and shoulders above the Gold. I made a Pina Colada with this……it was hellishly tasty. 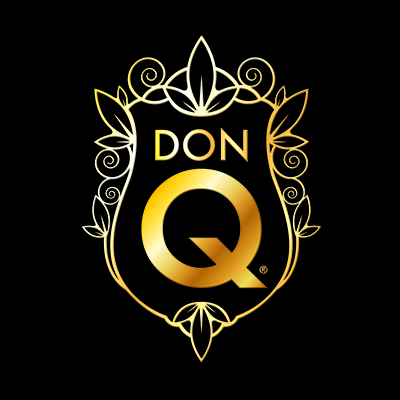 This is the first Don Q expression that I picked up and it represents the top of the line in the permanent line up of expressions (there are the 2005 “Single Barrel” and the Reserva de la Familia Serrallés as limited editions). Again from the same multi-column set up the Gran Anejo does have another component in its make-up. As is alluded to above, Destilería Serrallés has a Single Column Still made by the Vendome Copper and Brass Company. They take a Rum off that single column at 75% and it is a key component in this blend. The Gran Anejo is a blend of Rums aged between 6 and 12 years plus (here’s that dreaded word again) ‘Solera’ Rums aged up to 50 years. Again the disclosure of spirit caramel is there as is the staple 40% abv bottling strength. Nose: Up front astringent alcohol which swiftly dissipates to reveal orange oils and a bitterness. Warming oaken notes drag vanilla and milk chocolate along for the ride. With the alcohol notes gone, this really is a pleasant Rum to nose. It could almost be from Barbados such is the interplay between sweet, floral and oaken notes. It really is that well-balanced. As the Rum warms the oak brings a light bitter, metallic note. Mouth: Initially entry is up front black pepper and a sweetness that is present for a fleeting moment before the drying oak begins to dominate. The mouthfeel is quite light but further sips improve this as the flavours linger. The mid-palate is heavily dominated by milk chocolate, pepper and a creamy vanilla custard. The finish is surprisingly long given the mouthfeel and it lingers laden with nutmeg topped egg custard, prominent black pepper and celery which then morphs into a drying oaken wave bringing with it a metallic bitterness. Considering that this is partially the product of a multi-column set up, the aroma and flavour contained within this expression is great. I can’t see that much flavour is carried over from distillation in the multi column element so the single column must carry a lot of influence along with a barrel management that must be exemplary. To find this depth in a light style of Rum is a wonderful thing. 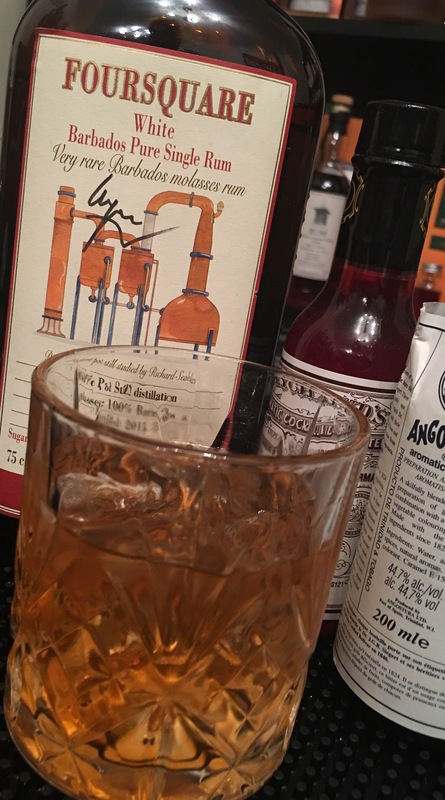 I usually use the Gran Anejo in an Old Fashioned with a dash of chocolate bitters and it works a treat for me. Single Barrel as an expression in its actual reflective form for this release would lead to (at a 6000 bottle run such as this) an ocean sized barrel. The explanation though is that all of the Rum in this limited release was from the same 2005 distillation which was then split between the pre-requisite number of ‘similar’ barrels to carry the volume. Each barrel is then bottled individually so rather than each bottle containing the vatted blend of all barrels from the 2005 distillation, technically each barrel has its own series of bottles. There is however no way to know which barrel the bottle that you have is from. What would’ve been nice is an indication of barrel number on the bottle to accompany the other information. Anyhow, bottled in 2015 makes this (if the dates align) a 10-year-old Rum….9 years at the very least. The same distillation process is employed as the majority of the range (no single column) and it is again bottled at 40%. No mention is made of spirit caramel…but as we know, colour is not our guide…..neither is marketing. Nose: The nose has a sharpness to it and a fair bit of sour. Quite prominent oak gives way to something way more pungent than anticipated. Light chocolate, hazelnuts, vanilla, raisins and an astringency of pear drops. This is followed by egg custard wrapped in buttery pastry with a sprinkling of powdery nutmeg. Mouth: Lighter entry than the nose hints at and definitely lighter than the Gran Anejo but the oak punch is right at the fore and dominates the opening few seconds along with pencil shavings. Once accustomed to the oak the pear drops appear along with light florals. 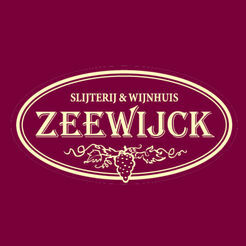 There is a raisin like quality to the mid-palate that soon becomes awash with oak and a growing spice. The finish is of a medium length and is all oak, black pepper and light caramel. It doesn’t, for me have the consistency and balance of the Gran Anejo but it is still impressive given that it is 100% multi-column. Its inconsistencies may actually be what makes it interesting and gives it more appeal over repeated visits than the consistent Gran Anejo. This is where I think that descriptions trump scoring systems. I have been very surprised by the Don Q range. From what are pretty average (to me) entry Rums the jump in quality is massive. 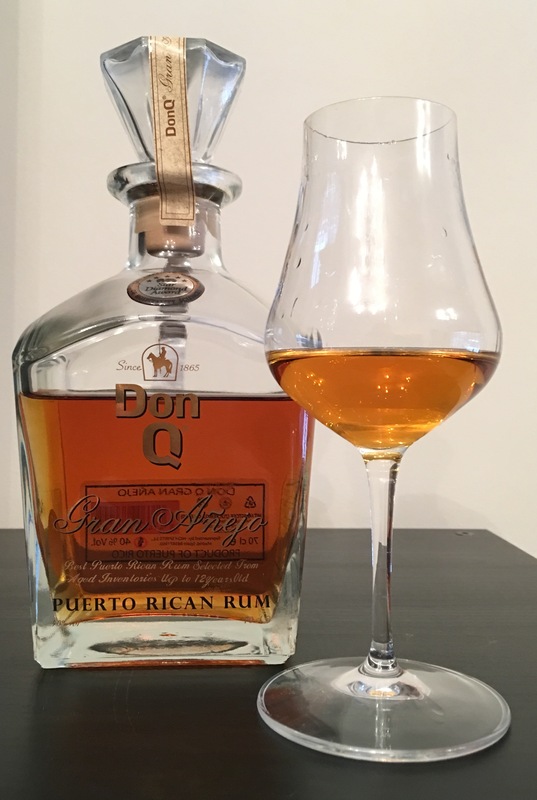 Maybe I have been spoilt by the fact that I started with the Gran Anejo in my journey but I’d say that if you are a fan of lighter Rums, you owe it to yourself to pick a few of the Don Q offerings up. Competent in cocktails and more than capable in spirit led mixed drinks, if like me, Rum in this light style isn’t your thing….try it as you may be surprised. Alexx at Don Q has been a huge help in providing me with information and reading what is upcoming in the range over the near future with a Spiced Rum, Single Barrel 2007 and something that I can’t mention….keep your eyes on them. Also, if anyone has the Reserva de la Familia Serrallés and feels generous…..you know where to find me! This write-up will be relatively small….to match the amount of liquid I have available to talk about. Thanks need to go to Helena over at A Mountain of Crushed Ice (link on the side of this page) for sending me the sample from her own sample….There really is that little of this stuff around. So this is a weird one. 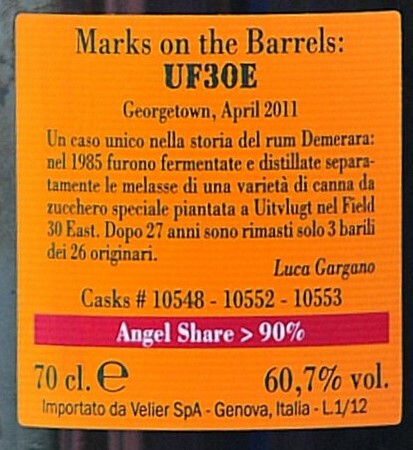 On the bottle (that I’ve only seen photographs of), the name of this Rum is UF30E 1985……So we gather that distillation was in 1985. It’s a Demerara Rum from Guyana so we can deduce by the U that it could perhaps be from the Uitvlugt Distillery that was on the West Coast of the Demerara River in Guyana. Now there is a whole host of information over at Barrel Aged Mind that I would be plagiarising if I were to regurgitate here so I suggest that you give this long and detailed article a go. The research that went into it is astounding. The basics however are that the Uitvlugt Plantation (Uitvlugt as a translation from Dutch means ‘Flowing Out’ or ‘Out Flow’) was founded sometime between 1759 and 1776 and the Distillery was said to have been established in 1798 at the earliest as there was a shift in quantities of Coffee and Sugarcane production leading to reduced Coffee production and increased Sugarcane production with the sole crop being Sugarcane from around 1838. The Uitvlught Distillery was active until December 1999. Stills wise, only the Four Column French Savalle Stills were original to Uitvlugt and taken from the distillery upon its closure although in its time the distillery saw the Double Wooden Pot Still from Port Mourant (moved to Diamond in 2000) and also the Single Wooden Pot Still from Versailles (via Enmore). There is mention in the article linked to that the 4 Column French Savalle Still was initially two 2 Column Stills that were joined together in their current guise at DDL…..and on the DDL website there is a note that this 4 Column Still can produce 9 marques ranging from light to heavy body so its pretty versatile kit. The F30E part is however a bit of a unique one. This actually relates to the field in which the sugarcane that went into this Rum was grown! Essentially the full title is Uitvlugt Field #30 East. This Rum distilled in 1985 as stated and it was bottled in 2012. It saw a full 27 years of tropical age and lost over 90% of the barrel contents (barrel numbers #10548, #10552 and #10553) to the Angels Share. Not a great return for your patience as only 814 bottles were produced at an eye watering 60.7%. 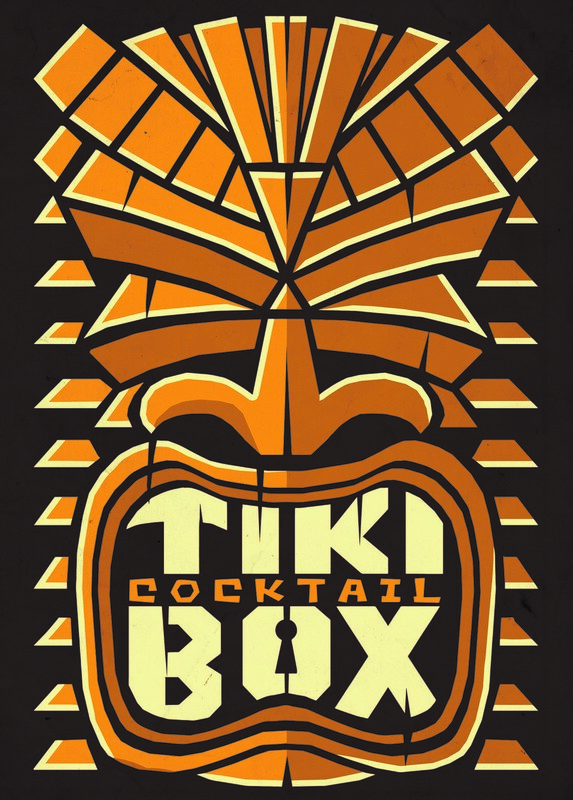 Glass: The Rum is a dark mahogany and gold in the glass….reminiscent of golden syrup. Initial aromas are punchy alcohol that has a stinging astringency to it….it is also brimming with Muscovado sugar aromas. There is that familiar nose of burnt syrupy sugar and warming liquorice. Prunes, raisins and medjool dates coated in milk chocolate. There is also a salty character to the nose. Oak is clearly present but nowhere near as dominating as I had anticipated. Its well-tempered and sat a few layers down. It plays off the sweeter dark fruit and syrup notes by combining with the liquorice to give a light bitterness that perfectly offsets the former. I have such a small sample of this Rum, I’ve been sitting with it for half an hour or so and have carefully added one drop of water, given it a swirl and awoken sticky ginger cake, star anise, cinnamon and the lightest whiff of window putty. Mouth: This Rum has a bitter entry on the palate. It’s all liquorice and Pontefract cakes with light oak. There is a growing warmth that brings a black pepper spike to the mid palate and a moisture sapping astringent oak to the cheeks. Further careful sips reveal crystalized orange wheels, raisins, glace cherries, star anise and ginger. Sticky date and walnut cake also comes to mind along withe the fruit loaf that my Auntie Hazel used to make when I was a child…..She would ALWAYS burn the top….first time was probably a mistake, but I’m pretty sure that my reaction to my first taste of that bittersweet loaf meant that she deliberately burnt it on subsequent bakes. The finish, whilst not as long as I had anticipated runs the gamut of the flavours that preceded it with added lighter floral notes and drying charred oak. It is so unbelievably well integrated and balanced that even at its hefty 60+% its an absolute delight to enjoy. I only wish that I owned a bottle of this stuff. My sample will have been decanted, split, decanted and then kindly forwarded to me and I can only imagine the delights that would await you as you pop the cork on an unopened bottle of this. I’d expect a bigger more aggressive alcohol and oak astringency from a new bottle, but maybe I haven’t had to work as hard to find the good stuff as it has had plenty of time to stretch its legs and it performed with such class from the word go. This UF30E represents a true piece of Rum making history in a glass and a testament to the art of Rum making and the value of extreme patience. I doubt that we’ll see the likes of this Rum again. I turn 40 soon so if anyone is feeling generous…..this is what I’d like. Glass: The Rum as stated has been aged for 4 months in ex-cognac barrels. It presents itself as a light straw gold in the glass. Initial aromas are fresh, clean and acetone in nature. It is salty and ever so lightly floral. Brine and salty black olives are present and accounted for. It is everything I expect from a pot distillate. It is very pungent but extremely approachable. As the glass warms it brings a warming, creamy biscuity aroma. There is also a light smoke….almost burnt splints that we used to use to light Bunsen burners back in school. With water the acetone attack is dialed down a notch and the florals come to the fore, along with more of the creamy biscuity aromas. Mouth: The entry is hot and peppery. Black olives and salty brine are very apparent. As the heat subsides a sweetness grows that is almost salty / sweet liquorice. It is a very oily proposition and is all-encompassing in the mouth with, for me, clearly defined effects on my palate. Oily citrus zips your cheeks whilst the peppery bite nips at your lips. All the while your tongue is bathed in salty liquorice with the slightest bitterness of treacle. With water the citrus is dulled but the black olives and liquorice remain on the growingly creamy and textured mouthfeel. The finish is of a short to medium length and is resplendent with liquorice, brine and the lightest bitter note. This was another Rum that I had expected to be a ‘reference rum’ much like the Habitation Velier Port Mourant. However, I found the Rum to be such a flavourful proposition that I decided to put it to work in a few drinks. It excels in a Daiquiri and I also built an Old Fashioned. Tasting the drink as it diluted I felt that it needed a little help so added a drop of Doorlys 12 which added balance to the drink. A drop of Peychauds and Angostura Bitters also worked well. I think that Josh over at Inu A Kena summed it up earlier this week when he observed that ‘Being a Rum Nerd means that you reach a point where white Rums really excite you’. 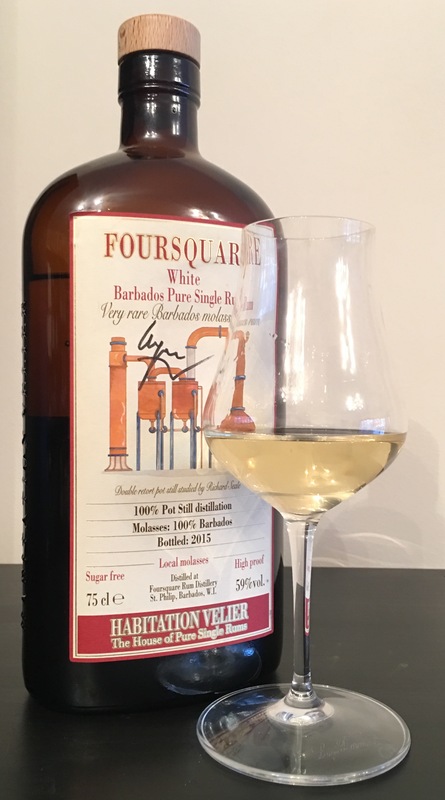 This was further commented on by Peter Holland from TFRS who said that ‘If a new make Rum has no taste interest, its highly unlikely that time in a barrel is going to significantly improve things’. Both good observations. This Pure Single Rum is a massively exciting proposition. It contains insane levels of both flavour and aroma, the likes of which some longer aged products could only dream of containing. Can you just imagine how much complexity could be added to this Rum with time in the barrel? Well I have the 2 year old Foursquare 2013 still to come to these pages so I guess we’ll find out!